Omni United today announced the launch of the Dimax Classic, under its ever-expanding flagship brand Radar Tires. The Dimax Classic is a sport touring tire specially developed for classic and vintage cars. 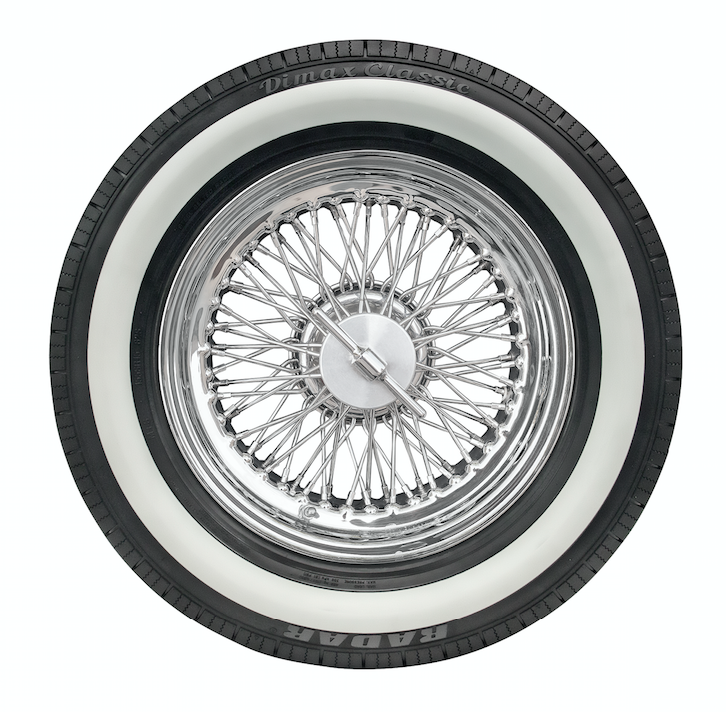 This tire is currently available in four sizes and six SKUs with rim diameters ranging from 12” to 15” sizes, designed for many popular classic and vintage vehicles. The Dimax Classic is Radar Tires’ offering aimed at enthusiast and collectors of Classic or Vintage cars or those looking at restoring these. The tire’s tread is a modern take on the classic design while the sidewall offers classic aesthetics that complement and enhances the look of the collectors’ vehicle. Depending on their preference buyers have an option of a sophisticated Black sidewall or a retro white sidewall finish. Additionally, the engineers at Omni United have made use of modern materials, processes and technical know-how to ensure that the tire is a reliable and durable offering. Its specially formulated tread compound offers higher mileage while its sport-touring tread delivers shorter braking distance. “We have been constantly expanding the Radar Tires range both by introducing new ranges as well as by adding sizes in the existing ranges. This year will see a number of new launches and size additions that will cater to the varied needs of drivers all over the world. With the introduction of the Dimax Classic we are now also catering to the needs of vintage and classic car enthusiasts.” Said GS Sareen, founder and CEO, Omni United. Earlier last week this tire was launched at The London Classic Car Show, where it was mounted and displayed on a Jaguar E-Type. This auto show is an annual must attend event for any discerning classic car owner, collector, expert or enthusiast. It brings together an international celebration of the very best dealers, manufacturers, car clubs and products and draws crowds in thousands. While six SKUs are available for order now, the company plans to launch another nine by the end of 2018 taking up the total to 15 SKUs. Current available SKUs are 125R12 62S, 125R12 62S (WSW), 155R15 82S, 155R15 82S (WSW), 185R15 93V and 205/70R15 96V. Upcoming SKUs include 185/70R13 86V, 185/70R14 88V, 185/70R14 88V (WSW), 205/70R14 95W, 165R15 87V, 165R15 87V (WSW), 185/70R15 89V, 185/70R15 89V (WSW) and 205/70R15 96W.